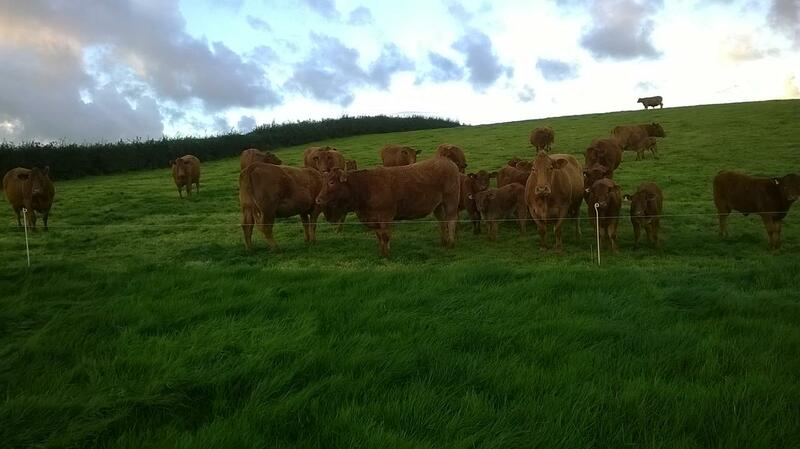 The Crowbeare Herd comprises of approximately thirty Pedigree South Devon beef animals. South Devon's are true gentle giants being the largest native breed and the most docile. The sixteen cows calve outside in the spring. The calves are left to suckle their mothers and run together throughout the summer grazing the lush Devon pastures until November when they are housed for the winter. Weaning takes place in late December. Young bulls are generally fattened and sold for top quality meat locally. Only the best heifers (females) are retained as replacements, the majority being sold for breeding. The use of artificial fertilisers and all chemical products is kept to the absolute minimum with the emphasis on homeopathic and natural products wherever possible. The herd originally started out in Elstone, Chulmleigh in 1992 as the Fourways Herd. The cattle moved with us to Crowbeare in 2002 and the prefix was changed to Crowbeare a couple of years later. The objective has been to breed top quality polled cattle using entirely A.I.and the herd is now about 80% polled.